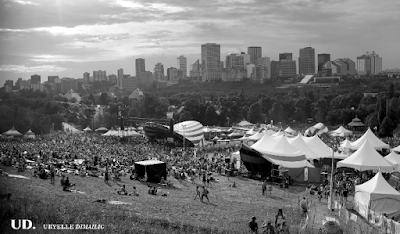 The Edmonton Folk Music Festival—as mentioned in my last article—is a pretty big deal. To illustrate exactly how big of a deal, tickets to the festival sell out within minutes while lotteries are drawn simply to enter the grounds when gates first open for the day. Arguably one of the most popular festivals of the year, it boasts an army of over 2,500 volunteers alone, not to mention the thousands more who attend as guests. But whether volunteer, concert-goer, performer or passing observer, this annual event is indeed a magical time for all: four days of stunning scenery, world class music, united community, and general feel-good vibes unique to the one and only “Folk Fest.” For those of you who missed last weekend’s festivities (or have never been), here is my round-up of highlights from my time there on Saturday and Sunday to get you caught up to speed. For those of you who are regulars, well, consider this fond nostalgia. My first day was mainly spent exploring the festival and getting acquainted with the grounds. First thing you’ll undoubtedly notice is the sea of tarps sprawling over the steep hills of Gallagher Park on one side and the stunning view of Edmonton’s downtown core perched on top of the river valley on the other—the view alone is a big draw for many. You feel like you’re in an oasis in the middle of the city! My quick tour of the market saw unique local vendors selling crafts that follow the “folk” sensibility: leather satchels, handmade jewelry, wooden décor, the works. The food pavilions provided hungry concert-goers with international fare including Thai, Chinese, German, Japanese, Indian, Vietnamese, Canadian and more, with (of course) vegetarian and vegan options. There were plenty of kid friendly amenities in the festival as well including a spray park, face painting and a family fun area. For us grownups, our fun area was known as the beer gardens, which offer up pitchers of beer, hotdogs, and great conversation with new and old friends. Stick around after the sun sets and take in the glorious sight of a hill filled with twinkling lights and a night sky full of stars. Truly magical. Emmanuel Jal: So I stumbled on this show by accident. I was actually on my way to find ice cream but I couldn’t help but stop as I passed by Emmanuel Jal’s stage. This guy had energy for days, jumping up and down, dancing in the crowd and pulling the audience on stage to join the show. Jal’s empowering songs affected the crowd too—everyone was up on their feet dancing along as the park resounded with anthems of love and peace, such is his mandate. The incredible story of Jal’s past life as a child soldier in Sudan, turned hip-hop artist and activist hailing from Toronto made for an uplifting performance that not only entertained but inspired all those who watched. 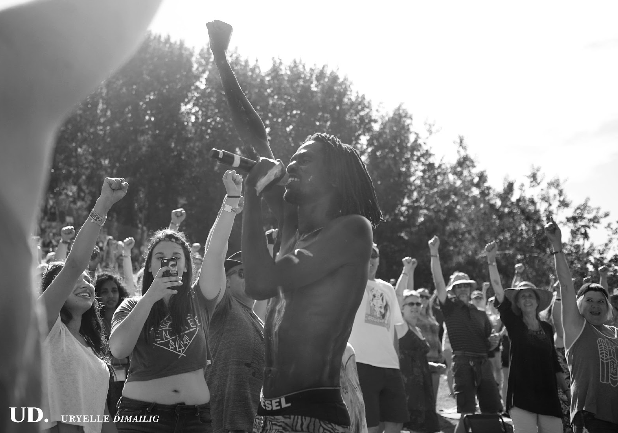 For music with a message, an artist with a story, and an entertainer with passion, Emmanuel Jal’s your guy—his show was a definite highlight of the festival and it’s all thanks to ice cream. I’m With Her: Shifting musical stylings somewhat after the Emmanuel Jal show, I drifted over to Stage 2 where the ladies of I’m With Her began their soft-spoken, gentle set of folksy originals and cover songs. These ladies had the most angelic voices which, when paired with their delicate instrumentals, served as the perfect complement to the sunshine and stunning view of the river valley behind the stage. Considering you were surrounded by thousands of people, the I’m With Her set had a magical way of feeling intimate and close, as every live performance should. Fairfield Four: So funny story. While I was in the media tent sorting through the day’s photos, a group of older gentlemen arrived and media volunteers were busy trying to get them to their assigned stage. One of the men took a seat beside me, smiled and said, “How do you do,” in the smoothest, southern baritone voice I have ever heard. Being a newbie to the folk music scene however, I couldn’t quite place what kind of music they would be playing. An hour later, there I was swaying to the stylings of the legendary Fairfield Four as their airtight four-part acapella harmonies and rolling bass lines took you through a journey of gospel tales and rich southern history. Incredibly humble for a group whose songs have won them Grammies and major Hollywood soundtracks, these talented vocalists are the third generation to hold a place in the Fairfield Four’s almost century long history. What a privilege it truly was to watch them live in concert. 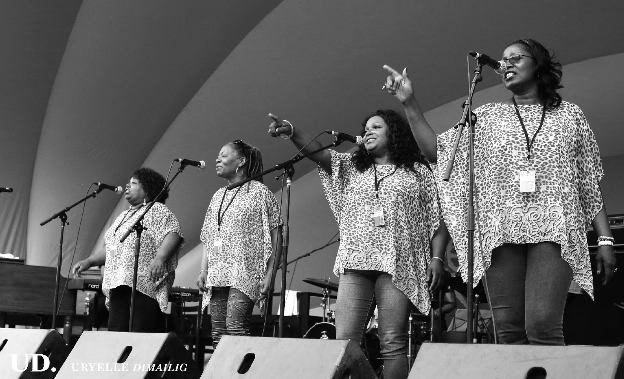 The McCrary Sisters: Continuing on the gospel note, the McCrary Sisters took to the stage shortly after. As daughters of one of the founding members of the Fairfield Four, it was clear that musical talent ran through the family. The sisters, with their pitch perfect harmonies, powerful vocal riffs and impeccable showmanship, took turns sharing the spotlight with their spirited set of blues, soul and gospel songs. My personal favourite was their song “Let It Go” which was an anthem of positivity and love. To top it all off, the Fairfield Four joined the Sisters on stage for an amazing joint performance that had everyone on their feet dancing and singing along. 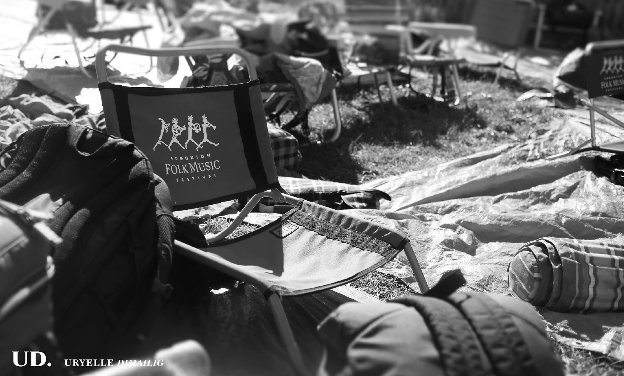 All in all, I LOVED every second of my Folk Fest experience. Yes, the music was amazing but even more important was the incredible spirit of community, inclusion and support you felt when you were there. If you have a chance to make it to next year’s festival, I highly recommend it. Cheers to all the Folk; see you next August on the hill! 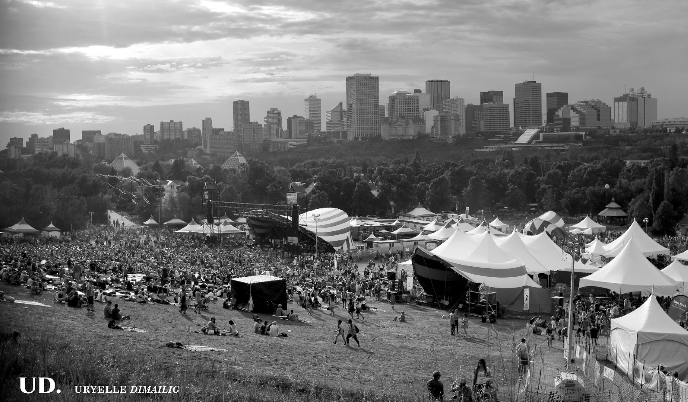 I went to my very first Edmonton Folk Music Festival last year and I was blown away. It quickly ranked to the top of my Alberta music festival chart and this year's line-up is promising more of the same! So this year, if you are planning on spending a few days on the hill, make sure you check out these acts! In case you missed them last year when they performed an amazing show, you can catch Lucius on the main stage at 8 PM on Saturday night. Kicking off the festivities this year is the Icelandic indie folk band. This Vancouver band is a really fun time - in song and on the stage! This trio is Sara Watkins, Sarah Jarosz, Aoife O'Donovan. A little bit folky, a little bit country, little bit bluesy and a lot lovely. Their version of Chasing Cars was used in an episode of Grey's Anatomy - so obviously they are the best. 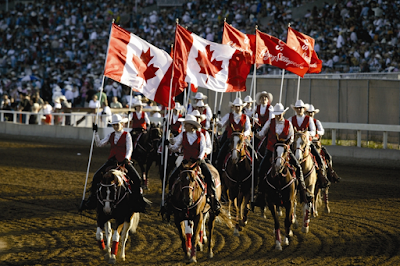 The ENMAX Corral Show at the Calgary Stampede gets better and better every year. 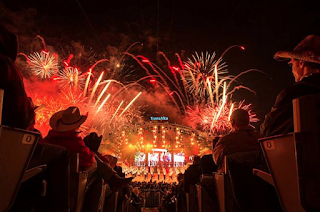 Located on the Stampede grounds, the Corral seats just over 7,000 people and has a free with-park-admission show every day (at 2, 4 and 7 PM) for Stampede goers to attend. This year the circus is in town from Montreal. The troupe Cirque Eloize is doing a Stampede edition of their show iD. A 45 minute act that is sure to impress you in some way. There are break-dancers, acrobats, contortionists, juggling, trampo wall tricks and a mountain biker. 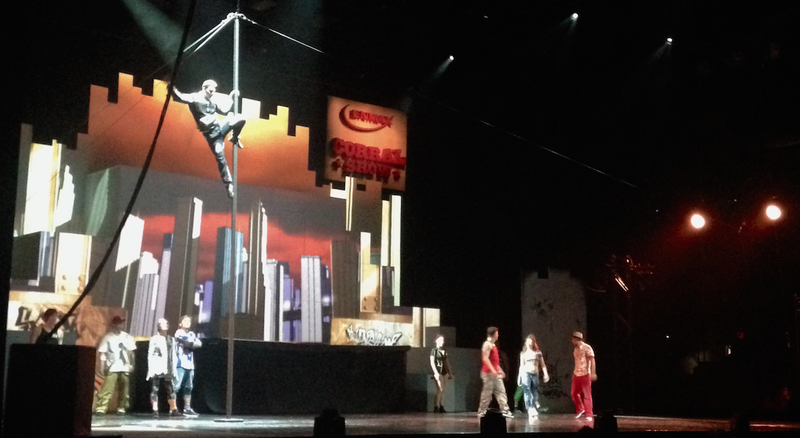 The show starts off with an acrobatic number that is nice, but not out of this world. You may think...hum, OK we are in for a nice 45 minute rest from the mid-way and that's about it, but then it gets really good. It's impressive what they are able to do on such a small stage. The show rounds off with the entire show doing a choreographed dance sequence. If you are in the right position, I would recommend watching the mountain biker in the back row - dance is not his forte. It's very amusing to watch him try. If you are going to the grounds this year, I would recommend it. It's worth the park admission alone. The Stampede kicks off with the Stampede Parade through downtown Calgary. This year's parade marshal is Olympian Kallie Humphries. One of the great joys of Stampede is all the pancakes. If you don't go to a pancake breakfast during Stampede you just aren't stampeding right. The Chinook Stampede breakfast feeds 60,000 people. That's a lot of pancakes. Hit the grounds on the first Sunday and get your place around the Coke stage for one of this year's acts Vance Joy. The tent in the middle of downtown is the corporate cowboys delight. There are different concerts and on this night you have Canadian rocker turned country star Dallas Smith. This year the ENMAX Corral show at the Stampede grounds is Cirque Éloize, one of today's leaders in contemporary circus arts from Montreal, Québec.They are performing a Stampede version of their show iD. The big concerts at Fort Calgary never disappoint the crowd. This year they are throwing back with Collective Soul, Big Wreck and Journey. You always sing along to Don't Stop Believing when it comes on - this year you can do it with the band live. You can't miss the Grandstand fireworks every night during Stampede, but you should see the whole show at least once. 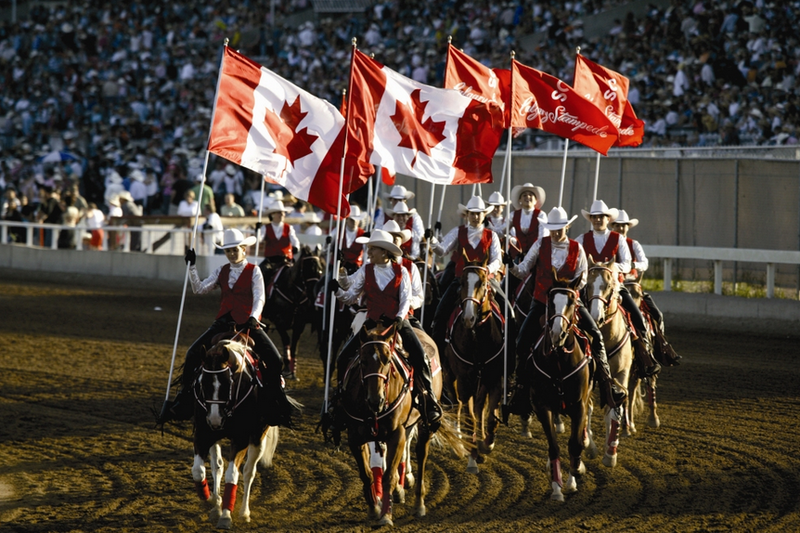 The Young Canadians, the Alberta Ballet and many other performers bring the glitz and dazzle to the stage every night after the Chuckwagon races. Blake Shelton takes the stage at the Saddledome the night after his wife Miranda Lambert woos the audience. 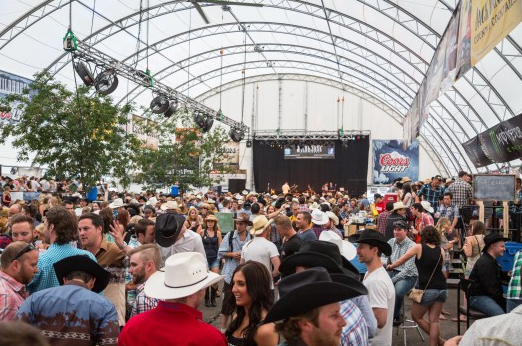 Hit up the famous Stampede beer tent on the night Jason Blaine takes the stage. 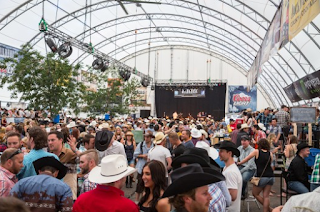 End off the ten day event with a stop at the Cowboys tent for a concert. Kip Moore and Nelly will shut down the Cowboy's stage for this year. What's on your summer playlist? The Griswolds If You Want to Stay? It's June, which means everyone is gearing up for summer. Which means, you need to start ramping up your summer time playlists. Summer is fun, happy and fleeting. This is what a look for in a summer playlist song. The Griswolds just released a new video for their song If You Want to Stay...and I think it just became the first song on my summer list. They kind of have me thinking about The Ceremonies. Whatever happened to those guys? Land of the Gathering was definitely on my 2013 list.